You can’t start your training plan until you know when your race will be. The timing of your race date and your training need to coincide. Timing is critical to ensure your success. The next reason might not seem so obvious, but it can play a large part in the joy of your accomplishment… the bling of course! You’re going to get a race medal and lots of other goodies when you run most marathons, and choosing the one that is going to make you most proud is a lot of fun! Some races brag about having the largest medal, others the best fans or the best scenery. Whatever it is that motivates you, find the race that will make you smile while you’re running it. You aren’t going to be able to start a marathon training plan until you have base miles under your belt. If you don’t have your base miles built up, start now and get to work on the other aspects of marathon preparedness as you train. Many training plans require a solid base of 30 miles per week as maintenance miles and some upwards of 40 (mostly plans that are more aggressive and designed for someone going in with a competitive mindset). Any way you slice it, you will need to have at least a month of 30 miles per week when you start your 16-18 week training plan. If you don’t have this base of miles, then let’s start building those miles up now. Training for a race is serious and should be given all the respect it deserves. If you are easily distracted during the evenings by friends and family, then you need to talk to them and bow out of the evening fun or, better yet, get them to join in the fun and run with you! Remember, having a partner in crime will certainly make this endeavor much easier and a co-conspirator one night could easily be your cohort the next morning. There are so many training plans out there, you can easily find one to fit into your schedule with less interruption than you might think. The problem is sticking with it for the length of time needed to accomplish your goal. Let some of the late nights fall to the wayside while you are training. It will pay great dividends come race day. Believe it or not, being prepared for a marathon is a lot of work and having a support team will make it easier on you and aid in your success. While you are building base miles, talk to those in your life that can help. Friends who might have already run races that would be willing to go out and run some of your miles with you can be a great way to stay accountable to your plan. A relative who will come and watch you during the race (and maybe even drive you home after your marathon when your legs have called it quits for the rest of the day) is also a great help. Having the support of friends and family during this adventure will make it all the more meaningful and help you be more successful. This is one of the most crucial aspects of being prepared. I remember when I was new to running and I came back from a run and wasn’t feeling too well. I had pains that were rather uncomfortable and I called my dad, a prolific runner of marathons with a few ultra-marathons thrown in for good measure, and told him about the aches and pains I was feeling. His immediate advice was to take a few days off from running and let my body recover. Being brilliant and rebellious, I didn’t take any of his advice and kept running, eventually being blessed with my first of several stress fractures over the years. Moral of the story: If your body is hurting, listen to it! When you are logging your miles, relax and enjoy them! Marathon training is a long and arduous journey. You will spend a fair amount of time logging your base miles, but then you will enter a high mileage phase when you start the first part of your actual training program. Then a very high mileage phase before you start to taper a few weeks before the actual race. If you are stressed over your running, you are likely to have bad form and injure yourself. Run with a smile, relaxed form and enjoy it. Look around at the world as the miles pass by, find a place that is fun to run or ask a friend to talk with you while you are out and about. While I love zero drop shoes, one of my favorite running shoes is the Nike Run Free RN Flyknit shoe. It was recently revamped and now has an 8mm drop. It is light and comfortable with a nice, thin front end. I think after a few miles in these, you will be happy you tried them on. I always make sure I have Bodyglide with me for every run, no matter how far. It is not uncommon for me to take some with on the actual marathon. There is nothing like chafing early on in a race and having to drop out because you wore loose clothing and forgot Bodyglide. Work on hydration during your training runs. Giving yourself drinks similar to what you will be getting on race day will help you dramatically. If the water stations are every 2.5 miles during the race, then drink every 2.5 miles during your long runs. It will give you a huge advantage over those that don’t. Make sure to eat the right foods! Good carbs go a long way to helping you be successful while bad carbs and fried foods will hinder your recovery from long runs, speed workouts and tempo workouts. No matter how you look at it, food and water are key. Stay hydrated and fueled and race day will be much easier. This is the one everyone likes! Make sure to get plenty of rest. Our bodies recover faster after training runs when we allow a good amount of rest. After the race, you are going to be living on adrenaline for a while, but sleep will be your friend after the race. You want to practice resting so there is no need for crashing after a race and not being well practiced with sleeping! Adapt this list as you see fit and make it your own. 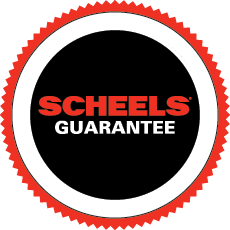 Don’t hesitate to come in to your local SCHEELS store and find a marathon runner to receive additional Expert advice.